It’s not always easy to convince children of the joys of fruit and veg. Early this summer The Telegraph said that only one in five children is getting their full ‘five-a-day’. So why won’t some kids eat their greens? 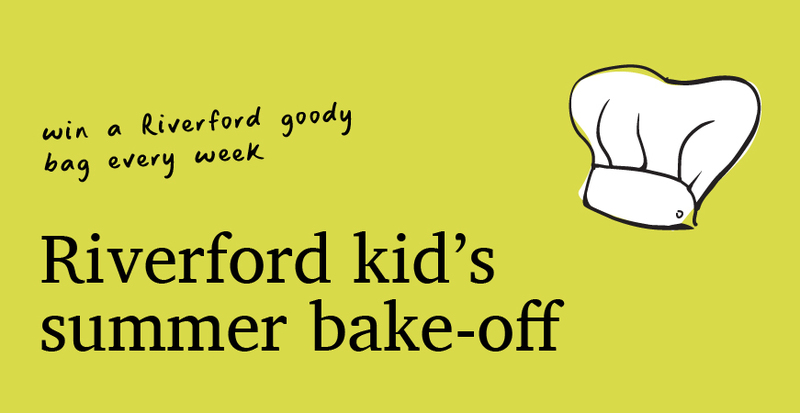 We’re setting ourselves – and you – a challenge to find out whether Riverford (and non-Riverford) kids know and like their veg. The first part is the Kids’ Veg Challenge itself. 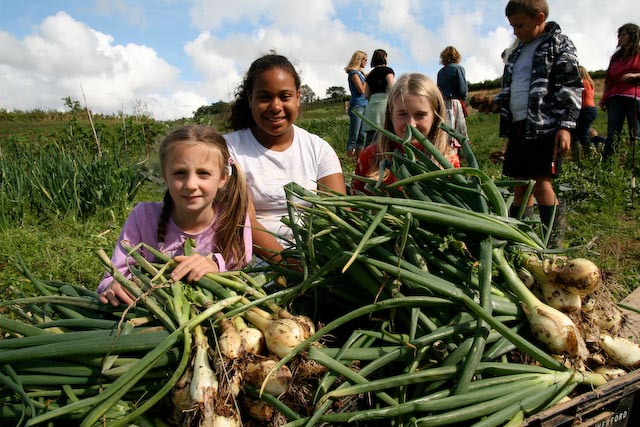 Whether you’re a Riverford customer or now, your kids can take the veg challenge at www.kidsvegchallenge.co.uk. We can’t promise that your kids will start gobbling their greens with renewed enthusiasm straight away, but we hope it will get them interested. These pictures were taken when around 20 children from Landscove Primary School came to the farm to work on their ‘vegpatch’. It was three weeks since we had started the ‘Landscove Young Farmers Club’ and on Tuesday 6th of May it was time to return to the land after a long Easter holiday break. Spring is a time of planting and that’s what we did. With the help of Headmaster Robin Smith and a group of willing parents, we planted the plants that were sown on our first meeting and other vegetables such as lettuce, spinach, courgettes, potatoes and onions. to improve their understanding of the relationship between field to plate. 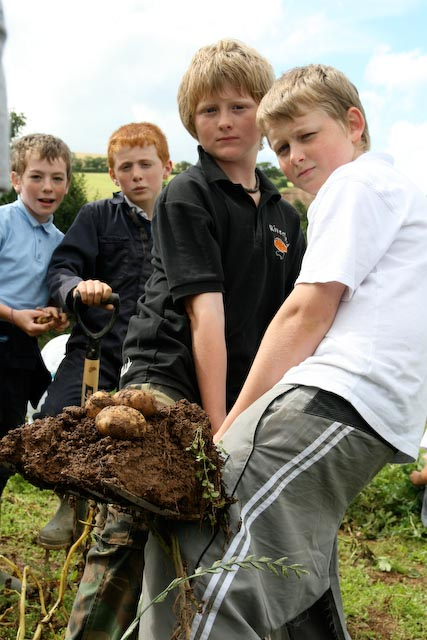 Boys from Landsgrove primary school dig up spuds from their patch on Riverford farm – will they make chips? Here at Riverford we’ve been cooking the school dinners for a local primary school since 2005, but last year we thought it would be fun to give the kids a patch of land on the farm to grow their own vegetables to put in the meals. The results were a huge success. The children grew onions, potatoes, tomatoes and many other crops that they had chosen themselves. All the year groups got involved. We recently had a little harvest festival so the children could show their parents what they had been up to – and you can see the results here!